Are you giving your customers what they need? Let’s take a closer look at that question. Say that you offer farm fresh dairy deliveries to the city of Boston. A customer decides that they no longer enjoy cheap, over-processed milk from the store so they hop on Google and type in “milk delivery service in Boston” and find your website. On the surface, it might look like you have met their need. After all, they needed local dairy delivery and you can provide that. Fresh milk in their fridge is the product that they need — but what do they need from your actual service? In today’s blog, Delivery Biz Pro is taking some time to look more closely at this concept to help you ensure your service is meeting your customers’ needs. Keep reading to learn more, or get in touch with us to discuss how our delivery management software can meet all of the below requirements. Nothing is more frustrating for a customer than a confusing, outdated, or slow website. Imagine if a customer was standing in front of you with cash in hand. They hold out the cash to give it to you, waving it in your face, and you just stand there and stare blankly while they try to shove it into your hand or your shirt pocket. Now imagine that same scenario, but instead of staring blankly, you reach out and shake their hand, let them know what products you will provide for the money they are giving you, collect their money, write them a receipt, and double check that the order is right. When a customer is trying to sign up for your delivery service, the last thing you want them to see is an unresponsive website. Ensuring that your website is modern, fast, secure, and easy-to-use will make more customers willing to use your service. In this day and age, your customers have a wealth of options to choose from when they are looking for a service, whether it is a daily dairy delivery or a monthly propane drop-off. The more options you can provide for your customers, the more likely it is that they’ll use your service over your competitor’s. When you use a delivery management software like ours, you can give your customers as much or as little control over their orders as you want. They can control their order timeline, for example, and decide what day to receive deliveries on and how often. They can set recurring deliveries and add special one-time items. They can order months in advance or skip their next delivery, and so much more. With a good delivery software, your customers can have complete control over their orders without making your job or your drivers’ jobs any more difficult. Organization is a key component of any delivery service. If your end of the business is not organized, it will show on your customer’s end in the form of late, missed, or inaccurate deliveries, overcharges, or unaccounted deposits when they have in fact turned in their items. This can be incredibly frustrating for a customer. When your delivery management software is tailored for your specific industry and does the hard work for you, the organization factor naturally follows. At Delivery Biz Pro, we focus on a few main delivery industries including dairy, water, produce, meal kits, and propane. Many of these industries, especially dairy, water, and propane, include a facet that many delivery softwares are not equipped to handle: bottle, jug, or tank deposits. Customers will quickly feel taken advantage of if they return a deposit yet are charged for a new one or their account lists deposits as outstanding. With our software, drivers can quickly check off who has returned deposits and who hasn’t as they make the deliveries so there is never any confusion. Discover the benefits of Delivery Biz Pro! Customers want their deliveries to be made on the day they have chosen and they want them to be accurate. That way there is never any hassle and they can continue using your services without any frustration. Our software does all of the difficult work for you by automatically generating order and load sheets and driver routes so your team knows exactly what needs to go in each box and each truck. It also empowers your drivers to find the fastest and most efficient routes, text customers when deliveries have been made, make changes on the road, and more. The later you can make your cut-off time, the better it is for your customers who need to make last-minute changes to their orders. To have a late cut-off time, you need to have a delivery management software that takes all of the guesswork out of driver routing and order management. Ours does just that, allowing you to decide the best cut-off time for your business. 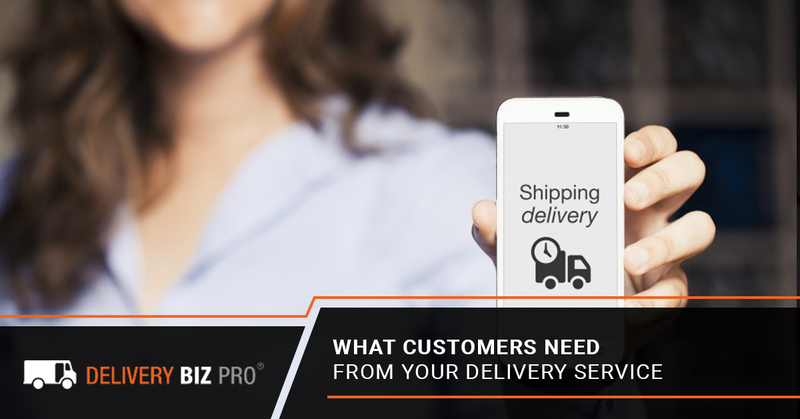 Give More To Your Customers With Delivery Biz Pro! Your customers deserve the very best. If your business can’t meet the above needs, then it might be time to explore better software options that can make it happen. With Delivery Biz Pro, we can help you optimize your business from top to bottom by automating the processes above and more. Learn more about implementing our delivery management software into your business model by filling out our short application. Taking just a minute to give us some insight into your business is the first step toward giving your customers exactly what they need: a highly efficient, customizable delivery service that makes their lives easier.